The flagship talk show’s demise has been expected since September last year. SABC3 has now officially cancelled its flagship daily afternoon talk show, hosted by Azania Mosaka. Entertainment journalist and commentator Phil Mphela reported that the channel would not be renewing the show for another season once the current season ends. 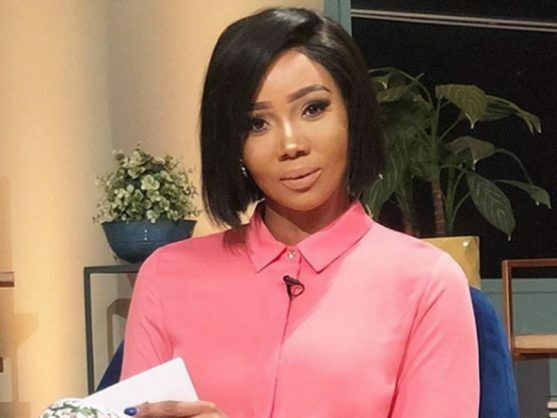 “The show’s current season will end in October but the channel will extend the contract to March 2019 and then the show ends,” wrote Mphela. He went on to add he had it on good authority that this change was due to a new direction the channel wished to take in the coming months. The show recently welcomed a new host in the form of Mosaka, who took over from Anele Mdoda when she left the show in May. READ MORE: Is #RealTalkOn3 getting cancelled? News of the show’s cancellation comes at the same time as reports that the SABC, known to be in extreme financial trouble, has not paid their employees. The broadcaster did not pay salaries on time on Tuesday morning, but said this was only because of a technical “glitch”. IOL reports the broadcaster’s spokesperson Neo Momodu said: “The SABC reported earlier this morning (Tuesday) that its employees had not been paid their salaries as expected, due to a technical error experienced by the financial institution. “The SABC would like to advise that the financial institution has resolved the technical error and salaries are being paid,” she continued. In November last year, the broadcaster announced that due to its financial woes, it envisaged that 981 employees and 1200 freelancers may possibly be retrenched as a result of the restructuring across all the business units and operations of the broadcaster. In August, members of its board appeared before the communications portfolio committee, telling them that if things carried on in the way they had, the public broadcaster faced total collapse. The board also said that at the time they owed R694 million to creditors and they would be prioritising workers’ salaries before attempting to pay content providers.